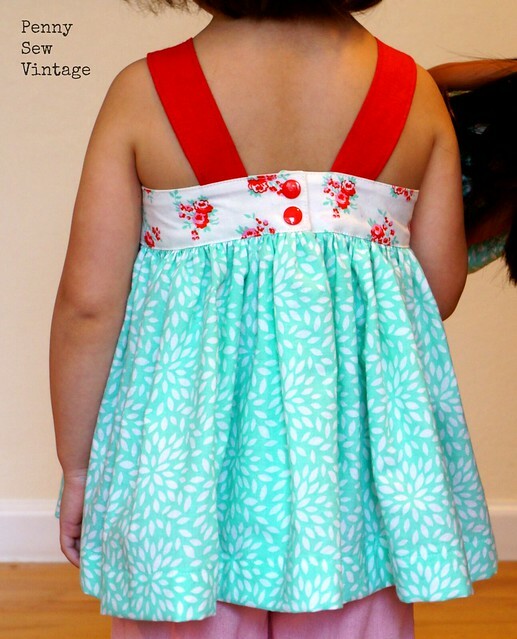 In continuing with my spring and summer sewing, I have a lovely new dress pattern to share with you all today. Actually, a few new dress patterns! I’m so excited about these patterns too because they’re so fun to sew and select fabric for. The Lemon Drop Tunic and Dress* from Tie Dye Diva was inspired by Matilda Jane fans. It’s the perfect pattern to showcase large florals and patterns, and its twirl and ruffles give it a little something fun for the girls too! I made the simple tunic version without ruffles to test tunic length and bodice fit, so this is a wearable muslin. The final tunic length is a bit longer, but this gives you an idea of how adorable the pattern is. I paired it here with another Tie Dye Diva pattern, the Daffodil Capris*. A little peek at the back. I used coordinating Kam snaps which made it so easy. I haven’t made a final version yet, but there are some absolutely gorgeous ones from the pattern tester group you can see in Tie Dye Diva’s Facebook group. 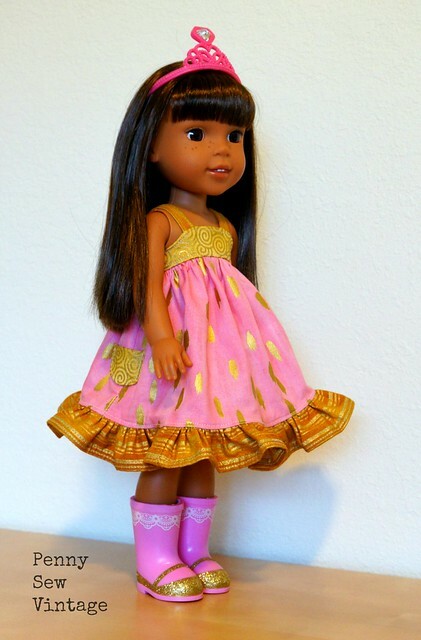 I’m here mostly to show you how incredibly sweet the 14.5″ doll pattern* is!!! I love it and so do my girls. My big girl selected her fabric from my scraps, and I’m so impressed with her choices. I don’t know if she planned to match these rain boots, but they’re great together. I had no idea she liked gold so much either! 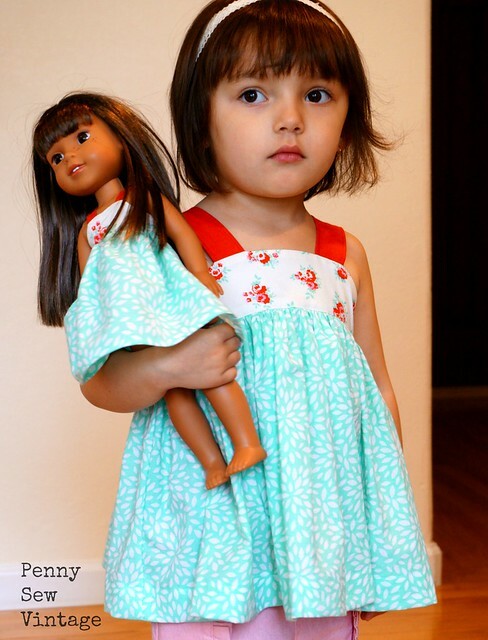 My little one’s dress matches her own tunic, but I made the doll dress version without pockets or a ruffle. It was definitely less than an hour for this one, so definitely a satisfyingly quick sew for an impatient little girl. 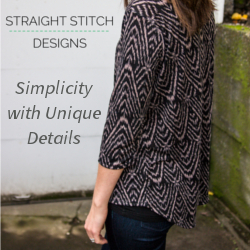 The patterns are on sale through Thursday the 23rd and can be combined with her volume discount. 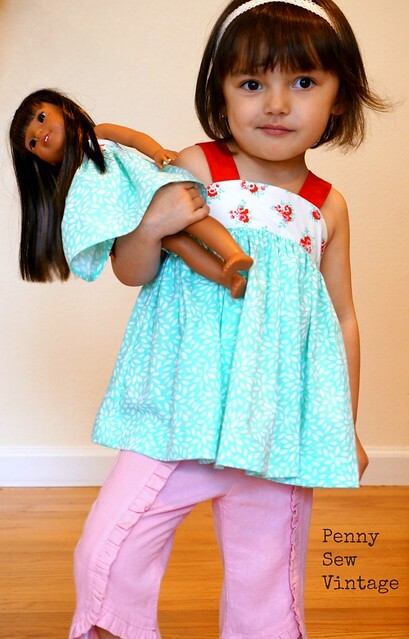 There’s the girls’ dress version available in sizes 12 months – 9/10 years, the 18″ doll size, and the 14.5″ doll size (aka the Wellie Wisher doll). You can find the patterns in Tie Dye Diva’s pattern shop*. I can’t wait to raid my local fabric shop for some large floral and cat prints! I’m new to making my girls matching doll outfits, so if you have any fun doll patterns to share, please do!